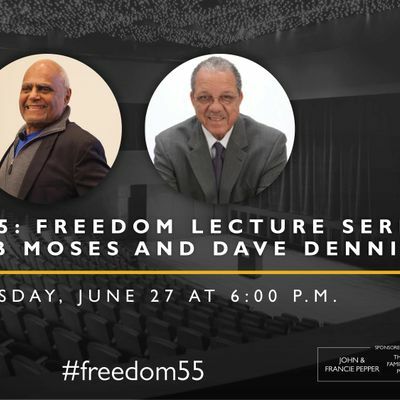 Join us for a reception and lecture featuring civil rights activists Bob Moses and Dave Denis, sponsored by John and Francie Pepper and The John A. Scroth Charitable Trust, PNC Bank Trustee. Bob Moses is the President and Founder of the Algebra Project, Inc., a nonprofit organization that uses mathematics as an organizing tool to ensure quality public school education for every child in America. He received a B.A. in Philosophy from Hamilton College in 1956, and received and M.A. in Philosophy from Harvard University in 1957. Moses directed the Student Non-Violent Coordinating Committee’s (SNCC), Mississippi Voter Registration Project from 1961-1964; was co-Director of the Council of Federated Organizations (COFO), 1962-1964, and was a lead organizer for the 1964 Mississippi “Freedom” Summer Project, parachuting Mississippi Freedom Democratic Party (MFDP), to 1964 National Democratic Convention in Atlantic City. Moses is co-author with Charles E. Cobb, Jr., of the book Radical Equations—Civil Rights from Mississippi to the Algebra Project (Beacon Press, 2001); and co-editor with Theresa Perry, et al., of Quality Education as a Constitutional Right-creating a grassroots movement to transform public schools (Beacon, 2010). Dave Dennis is a distinguished activist and organizer who participated in the first Freedom Bus rise from Montgomery, Alabama to Jackson, Mississippi in 1961 as they were attempting to desegregate the interstate bus system, and in voter registration efforts during the 1964 Freedom Summer. Dave Dennis worked closely with Bob Moses and Medgar Evers in Mississippi, and was active in many Civil Rights organizations during the 1960’s. He served as co-director of COFO in Mississippi. Dennis conducted voter registration workshops throughout the south as the Mississippi director of the Congress of Racial Equality (CORE), working with SNCC members and other civil rights activists in Mississippi under the COFO umbrella. Dennis received his Bachelors of Arts and Science from Dillard University in New Orleans, Louisiana and a Juris Doctorate from the University of Michigan Law School. He has been cited in several books and publications related to Freedom Summer and the Civil Rights Movement. 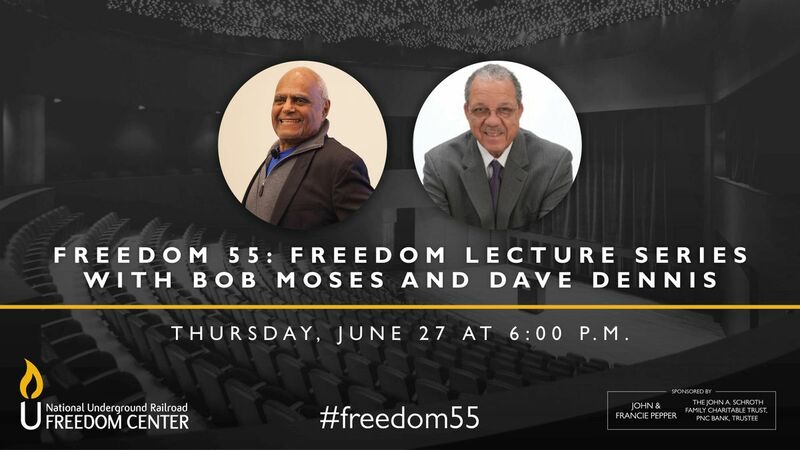 This lecture is a continuation of the Freedom 55 Programming Series that includes screenings, book signings, lectures and musical performances throughout 2019 commemorating the 55th anniversary of Freedom Summer. Freedom Summer was a 1964 voter registration drive, also known as the Mississippi Summer project. The goal was to end the prevailing discriminatory and segregated voting system through increased voter registration of African Americans. In preparation, hundreds of student volunteers gathered for two, one-week orientation sessions from June 14 to June 27, 1964 at Western College for Women (present day Miami University) in Oxford, OH. This program is free and open to the public. RSVPs are required.